Interested in improving your chess, but don't know where to start? You've come to the right place. On this website, we provide a series of interactive tutorials aimed at beginners and novices. Our tutorials start at the very beginning, with the rules of the game, and proceed on to basic strategy and tactics, as well as guides on how to play in the opening and endgame. All tutorials on Chess Strategy Online are completely free, and new content is added regularly, so keep checking back. Many classic chess books published in the 1920s and earlier are now in the public domain, but modern players are often put off by their use of old-style descriptive notation. 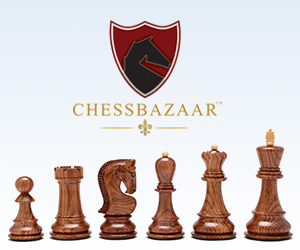 On this website, we are translating old chessbooks into Algebraic notation and making them available free of charge. Our first project is Emmanual Lasker's The International Chess Congress, St Petersburg, 1909.